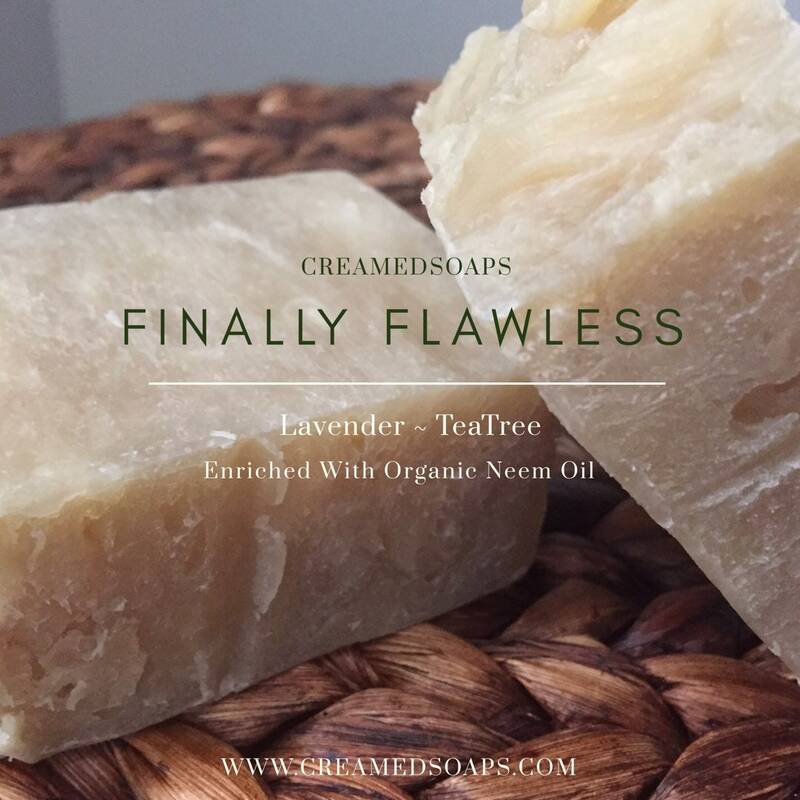 "Finally Flawless" is loaded with Organic Neem oil. 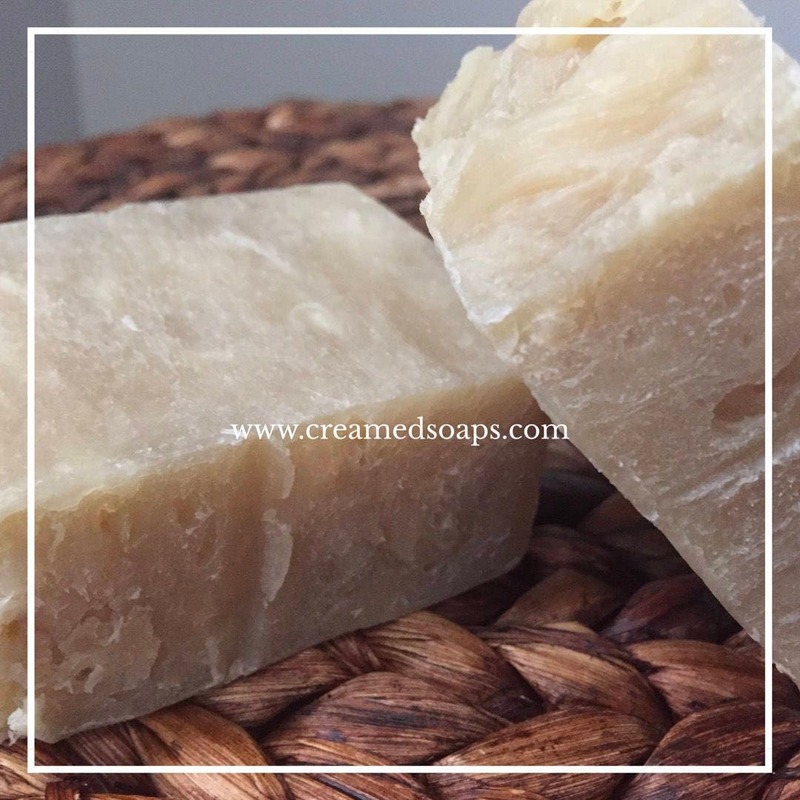 By using the hot process method of soap making, CreamedSoaps is able to ensure that the Neem oil is delivered directly onto your skin while bathing as it has not been touched by the lye process of crafting soap. Neem oil is known to assist many with skin ailments such as eczema, psoriasis and acne to name a few. Neem oil naturally posseses anti-inflammatory and analgesic agents, making it a great additive for our soap that has been formulated for our eczema and psoriasis sufferers! Neem oil has a distinct scent. This bar has been scented with Lavender and Teatree essential oils which pair nicely with the Neem oil. What butters & oils were added to this bar? Organic Coconut Oil, Organic Extra Virgin Olive Oil, Organic Sustainable Palm Oil, Organic Raw Shea Butter and Organic Neem Oil. CreamedSoaps Tip: If you suffer from light acne and plan to use this as a facial bar, be sure to cut it into 3 pieces. It should last you 2+ months. For added protection for your skin, pair this bar with our "Neem Balm" listed under our Butters and Balm tab. Absolutely LOVE her product! I’m from a very cold climate and I need all the help to keep my skin from not drying out, absolutely perfect! Lovely soap!! It contains great ingredients and my favorite essential oils! Wonderful soap, lovely for my skin!